Essene Retreat Conf Lectures: Embracing Self. This annual conference has an uncanny ability to set a theme that the universe conspires to follow in the entire two-day meeting. The presenter and attendants all seem to leave ego issues at home, and the result is an intimate group who participates together in a beautiful growth experience. I gave a lecture in two parts: The first was Embracing Self, and the second wasRemoving Impediments. The links to these lectures are HERE. Dr. Marcus Gitterle gave an inspiring and VERY informative lecture to the IONS Austin group this June. Prepare to have old concepts blown out of the water! This was fabulous. I’m excited to have video, thanks to Bob Price of Austin’s IONS and INACS. This way you’ll be able to see the powerpoints as well as hear the lecture. Here’s the link to the video on this site! This is a short audio section (26 minutes) of my part of a panel presentation for the January 2012 meeting of Austin’s astrological society. It starts with a view of 2012 strictly from the vedic perspective, and ends with my commentary on how to prepare for the energy changes, based on tropical astrology (the Great Saturn/Neptune Divorce). Here’s the audio to the lecture I gave on Jan 10 for the Austin IONS group. Soon I’ll be able to add a link to a video of the session, which includes being able to see the powerpoint. But if you’ve got an mp3 player and want to listen as you go about your life, here’s the spot. Subject: Who Are We Becoming… A Symphony of Symbols. We are nested within cycles of time. In addition to the larger patterns, we are also subject to the energy fields of shorter-term cycles, and these all interact to create the conditions of our times. How will it affect you? How will you affect our times? Listen here! To inquire about sponsorship click here. 2. Anne, Lecture: Dancing With Transcendance, in Austin. Podcast available now. 1. REMINDER: Class Starts July 6: Cherry-Picking Predictive Techniques… email me for location! 3. July 1 Eclipse It’s a brand new eclipse cycle! I’m a “cherry-picker”. I use lots of techniques, thanks to computer-generated charts, and I pick up the most blatant and obvious clues from each technique. By comparing the blatant clues from myriad techniques, you can get a very good idea of upcoming energy patterns, and often, details of specific events, as well. What’s more, it makes it EASY to use predictive techniques. We’re looking for the obvious here! In this class we’ll use YOUR charts to demonstrate and illustrate the techniques. Techniques: Transits, Progressions, Solar and Lunar Returns, Graphic Ephemerides, Sabian Symbols, Dasas, and Saturn/Jupiter aspects (also Ingresses, Retrogrades, Eclipses, Pre-Natal eclipses). Come to class! Expand, and fine-tune your tools for seeing into the future. Contact me HERE for location and directions. $15/class suggested OR come anyway. I’d rather have “comp” students than no students. I love teaching and welcome all levels of knowledge and income! I’m really excited about this lecture because of my new explanation of Neptune: How is this planet different NOW than when it was discovered? How is that affecting us? (Pretty powerfully). The “outer planets” are often called the “transcendental planets”. These planets mediate between the fixed fate of the material world and the gods’ (or OUR) abilities to negotiate everyday reality: but only if you know their dances and don’t get caught in their traps. The outer planets are highly active in the sky these days: they are making many hard aspects and are changing signs, meaning, of course, that all of us are feeling their influence. The wiser we are in dealing with these dance partners, the better the future we invite. Listen Here. This is a profound and powerful eclipse chart. The Sun and Moon are in highly challenging relationship with the Biggie planets–meaning those that have been wreaking havoc and causing change all over the earth these last few years, namely Pluto, Uranus and Saturn. Overall, the eclipse represents huge generational endeavors, and active world stress. Bernadette Brady says this eclipse brings the end of long struggles and eclipse midpoints involving Neptune and Jupiter bring difficult issues to gentle conclusions. We can hope so. This eclipse also happens among fixed stars which ancient astrologers associate with the death of a king. Countdown for Qaddafi? This is a recording of a lecture to the Astrological Society of North Texas from December 2009. In it we look forward to themes that are big for the coming several years. Look under the PODCAST heading on the menu bar for the entire series of IONS lectures for 09. The podcasts for Mark Sebasta’s Shamanism and Shapeshifting into a New Era is up, as well as October’s Mary Mansfield, Bridging Science and Spirit. The Evolutionary Energy Shifting our Lives Consciously? Or Not? The podcast of the IONS meeting and live conversation with Gene Keiffer is here, with background information below. Chuck and Karen Robison, of What If It Works Internet Radio, conduct a telephone interview with Mystery School Teacher Gene Kieffer, author of The Secret Teachings: Unveiling the Luminous Sun Within who is a Gopi Krishna scholar. Chuck and Karen Robison, a Church of Religious Science practitioner and spiritual guide, and authors of the Quantum Conspiracy, and presenters at the IONS Austin Chapter. They will initially share an interview, with Gene Kieffer, an internationally published author and president of the Kundalini Research Foundation, who worked with Gopi Krishna, who authored: Kundalini: the evolutionary energy in man. Since the 1960’s, Kieffer has been recognized as an authorized scholar of this Indian mystical adept. Gopi Krishna’s pioneering writing on the raising of the kundalini energies and expanding of consciousness and Kieffer’s have each been recognized as a master spiritual teacher and researcher. An interview with Gene Kieffer is available on What If It Really Works Radio, accessed at website: www.whatifitreallyworks.com. The assembled IONS audience at the meeting was invited to ask questions of Gene Kieffer, via telephone, with Chuck and Karen Robison as hosts. Questions:We are going through what is called a historically significant evolutionary shift in consciousness. Some are calling it the paradigm shift, others going beyond the turn of the millennium, so we call on the wisdom of the mystics to guide us.I. What are the main characteristics of the shift that is occurring and how can we prepare to live through this historic change, which is proving difficult for some……..? II. Some people are having unusual experiences, and their perceptions of life are shifting rapidly and even expanding… Sometimes these people have trouble talking with others about their expanding consciousness moments, since their shifts are do deeply personal? What recommendations do you have for such people? III. Once someone accesses a wider field of knowing, not just knowledge, but deeper and wider levels of knowing, such as accurate intuition, pain can come with that knowingness? As one integrates these new levels of knowing, how does one live with expanded consciousness and what responsibility do they have to others to share that new level of knowing with others? IV. How do we all evolve in such a way that we can all celebrate life, dance, sing, pray and feast together, with everyone’s needs met and everyone being happy together? Contact: 512-456-3614 and for more information. 1. For those you near Austin, TX, the Austin IONS group (Institute of Noetic Sciences) will have a panel on TIME, with 5 presenters, Tuesday, May 26, at 6:30 pm, Unitarian Church at 4700 Grover. The event is FREE, and yours truly will be on the panel, along with other great speakers and thinkers. (The session will be recorded and available on my site and the Austin IONS site, technology gods willing.) Afterward’s we’ll gather at the nearby Blue Star Diner for more conversation. 2. the THIRD part of the 4-part article series are now available. This is the written-out version of the March lecture at Institute of Noetic Sciences, Austin, where the recording didn’t “take”. You can find Part One here, and Part Two here. and Part Three here . 4. I am working on a project about anomolous experiences of time–things like deja-vu in a Huge way; inexplicably short travel times (Austin to Dallas in 2.5 hours instead of 3.5-4.5), experiencing more than one “time” at a time, and other “time unhinged” phenomena. If you have had weird time experiences, PLEASE let me know about them! Email me at [email protected]. We are in the middle of an intense planetary combination: The astrology of May 29-30 is that Neptune and Chiron station at 26 Aquarius, exactly conjunct Jupiter and square Mercury. This is a powerfully disillusioning pattern that may pull the curtain back on the “wizard of Oz”. Combined with both the public in the US chart, and with Obama’s sense of freedom and independence, we may be in for a shock. What kind? It so happens that Spain’s ancient chart and 20th century birthcharts both have Suns in Scorpio SQUARE (in collision course) with this pattern, and with the United States and with Obama. Their recent revelations of the exact kinds of torture on one of their citizens (among other things, permanently blinding him in one eye with ground in pepper spray), and their expressed interest in prosecuting high level decision-makers in the US government are combined with their on Inquisitorial history. This potent combo may make them the delivery point of this Chi/Nep/Jup shock that heals. How will YOU feel? You’re probably already feeling it. There is a strong pressure of grief over old issues building, with many people looking for something they can believe in. This energy will peak at the very end of May, but events associated with the peak could be as late as mid-June. All summer we will be under this kind of sadness and intense “wishfulness”. It may be something totally personal to you, but it will affect all of us in our feelings toward the state of the world, the country, and the economy. The bookend to this pattern isn’t until November. I’ve done a lot of work on the www.sacred-threads.com site. Uploaded new tapestry images, grouped them logically, created separate pages for each image. Here are a few of the newest images. To see more, click on the web address and enjoy! 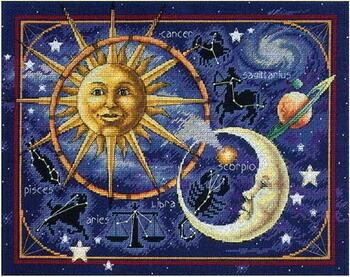 These tapestries are created in silk (over 500 stitches per square inch) with real faceted gemstones and pearls. They are expensive, but worth it. They are delivered in a shadow-box type frame, suitable for permanent or temporary display. The next newsletter will feature the last (and hopefully most inspiring article) in the Joyful Anticipation series, and a new podcast. Thanks for being here, and ’til next time… may all life bring you joy! On the importance of studying shift: Mark Iberg, lecturer on humor and humanity, from multiple perspectives. Mark encourages us into action and asks, “What does shift mean to you?” His website http://www.lcsvs.com/ presents his perspectives on how to keep one’s health strong for any shifting that may take place. Overview of paradigm shift, from a timeline perspective, both horizontal and vertical: Looking at times past, Roberta Shoemaker-Beal will give an overview of the predictions for paradigm shifts around the dimension of time, from various wisdom teachers who have alerted us to anticipate changes in this decade, especially. She will talk of the work of Edgar Cayce for a long horizontal view of a timeline. The vertical view of time is from the ancient Greeks who wrote of and defined different “kinds of time” such as chronos and chiaros. How do we shift to accommodate to the changing nature of time? Is life things speeding up? Is that a good thing? Focus on time to prepare: Anne Beverdorf, local educator and astrologer will share current predictions defined by those who looks at vast timelines, with the ability to predict the nature of timely events, we can anticipate through astrological studies. The use of time awareness, by studying cycles of time, can be used to plan our lives. Anne will share predictions for upcoming events for May 2009 and other relevant time we need to consider for the future. Her website at http://www.stariel.com/ leads us to more information. Planning for the future: Jan Blevins will be traveling to Peru this summer to study about a suggested change from the Gregorian to the Mayan calendar, as suggested by Dr. Jose Arguelles. His studies demonstrate that the Mayan calendar is a more accurate time keeping system than the Western European one used by the majority of our population. Read “Open Your Mind to a New Time” on the Internet at http://www.philzone.com/interviews/jose/jose.html for an Arguelles interview on this dynamic and controversial topic. Consider: What shifts in our foundational paradigms, for time and space, are we ready to shift? Is the ancient pairing of Mother Nature and Father Time offering us an opportunity? Here is the podcast for the lecture on Chiron, for the Astrological Society of Austin on April 27. And here too are the images of centaurs that should accompany the lecture. I referred several times to my wonderful brother-in-law who wrote his dissertation on Chiron–but I failed to give you his name: Krin Gabbard. He’s written several books that movie and jazz lovers will enjoy. Krin is an incredible writer–entertaining, unexpected, iconoclastic, intelligent. His most recent book, “Hotter Than That” is a socio-cultural history of the trumpet and American Jazz. Krin’s writing can make ANY subject fascinating, but don’t just take my work on it. Check out the reviews here on www.Amazon.com. I’ve never seen so many over-the-top-raving reviews. His previous book is Black Magic which is about how Hollywood has and does portray African Americans in the cinema. The latest incarnation?–the amazingly wise confidante/protector/nurturer. OK: Here are the basic Centaur image types. BTW, Nessos was the old type, and Pholos may have been the new type–at least according to some greek art. Pholos was NOT an Ixion centaur. The podcast is below. Image of a "Strange Attractor"
The Wild Ride to 2012: Astrology and the Convergence of Multiple Non-linear Systems. Handouts to this lecture and raw notes are available in previous blogs. Note: This podcast is about 100 minutes long. The first 40 minutes are the astrological framework for the next several years, the rest is about converging systems all hitting chaotic levels. If you start listening and don’t have time to finish, press the pause button and leave your machine on. When you come back you can just press play and it will pick up where you left it. This is a series of podcasts on the rich subject of Indian astrology, known as Jyotisha, and sometimes called Vedic Astrology. You can listen to more podcasts about Jyotisha at www.puja.net. This page is podcasts 1-5. PODCAST THREE: Predictive Astrology: What’s Involved? Jyotish includes a technique for extrapolating from the birthchart a different chart for many large subject areas of life. We’ll talk about them. CORRECTION: At the beginning I mention the Drekkana chart. It’s about SIBLINGS, not children. Foot-in-mouth problem! Here we look at the year 2009, applying techniques from jyotish. The innauguration of Barack Obama, the chart of the United States, and more!